Kanga’s indoor playcenter is a new brand to the US market. The concept is based on an Australian brand, Lollipop’s Playland, that has been successfully operating in Australia for over 20 years. The first Australian Lollipop’s Playland and Café was opened in Brisbane in December 1997. The brand was originally developed in New Zealand where the idea was born from the observation that children were visiting fast food establishments for the playground rather than the food. Lollipop’s Playlands, and Kanga’s, combine the best of both – an exciting all-weather indoor playground with a café on site for parents and children. Lollipop’s have since established 26 sites around Australia. With so much success in Australia and New Zealand, the brand was then expanded to Indonesia where there are currently 6 sites. Research began into the US market several years ago and it was established that there is a significant gap in the market. Whilst there are numerous trampoline parks and inflatable type operations targeting the children’s entertainment dollar, these tend to attract an older age group. Our Playcenter model has been honed to perfection in arguably one of the toughest franchise markets in the world! Australia has high average wages, high commercial rents, intense competition and yet our model has sustained the test of time. So why change the name from “Lollipop’s” to “Kanga’s” for the US market? It was a difficult decision to re-badge the brand but the “Lollipop’s” name is unknown in the US so we get the chance to tinker with the image, but not the model, to ensure we maximize our target demographic. 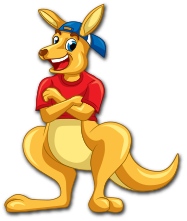 We envision Kanga’s as a new “cool” brand that caters for children from 1 to 11 and promotes the fact that we are a niche, Australian export and proud of it. That, in itself is a powerful promotional tool. With sites in Long Island City, New York and Houston, Texas we are ready to grow!